Another day of fabulous goodies! This Epic prize is so good it's back for a second run. 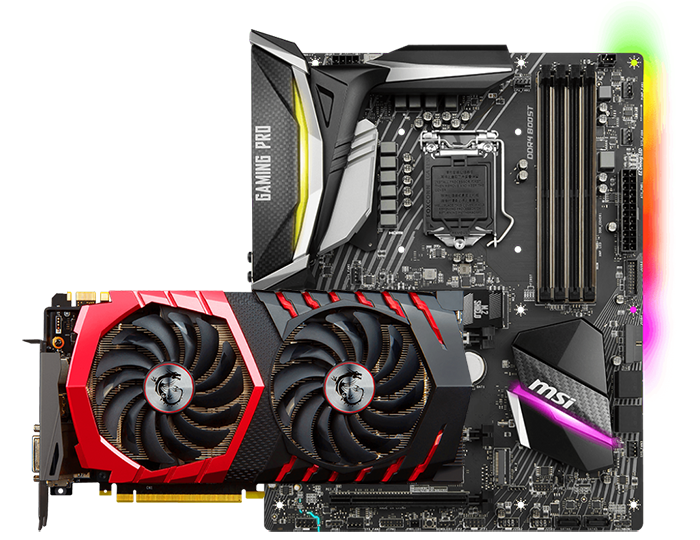 An MSI Z370 Gaming Pro Carbon AC motherboard and an MSI GeForce GTX 1070 Gaming X 8GB graphics card are up for grabs. A fantastic upgrade opportunity for any budding gamer! The competition winner will be picked at random from all eligible entries that arrive by 09:00 London time on the closing date, January 3, 2017. The prize is an MSI Z370 Gaming Pro Carbon AC motherboard and an MSI GeForce GTX 1070 Gaming X 8GB graphics card. Is that why I never win anything, ever….? ?